Residents of a New York trailer park were shocked to discover that 135 cats were being hoarded in one of the units. The filthy home was declared uninhabitable, and neighbors complained about a foul, overwhelming smell coming from the property. More than 130 cats were rescued from this trailer home in Halfmoon; the residence has been declared uninhabitable. 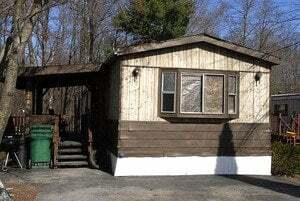 Troopers served a warrant on the residence’s owner in the D&R Village Trailer Park in Halfmoon after a local animal hospital complained to authorities about a kitten that had been brought in for treatment. The young animal suffered from a host of severe ailments, and despite the veterinarian’s suggestion the feline be euthanized, the owner let it expire. It was not the first time a complaint was made about the woman. On Monday, police discovered 135 cats inhabiting her home, packed 8 to 10 per dirty crate; two felines were found dead at the scene. Residents of the park are normally only allowed three animals per trailer. The woman apparently kept picking up stray cats in an attempt to rescue them. The cats were taken to the Saratoga County Animal Shelter, and their arrival overwhelmed the facility, pushing its 170-animal capacity to the limit. Approximately 19 cats were so sick they had to be immediately euthanized, as some of them were afflicted with everything from severe eye infections to feline leukemia. Shelter personnel claimed they have never seen so many animals brought into the shelter at one time. “I have never seen anything to this magnitude,” shelter supervisor Dan Butler said. “This is just an exorbitant amount of animals.” Butler has been with the shelter for 32 years. Another problem facing the shelter was none of the cats were spayed or neutered. Personnel believe that every single female that brought in was pregnant, and three of them went into labor upon arrival; approximately 15 kittens were born and 30 cats were immediately spayed or neutered. Authorities are waiting on veterinarian reports from the shelter before filing charges against the woman, which are expected by the end of the week.